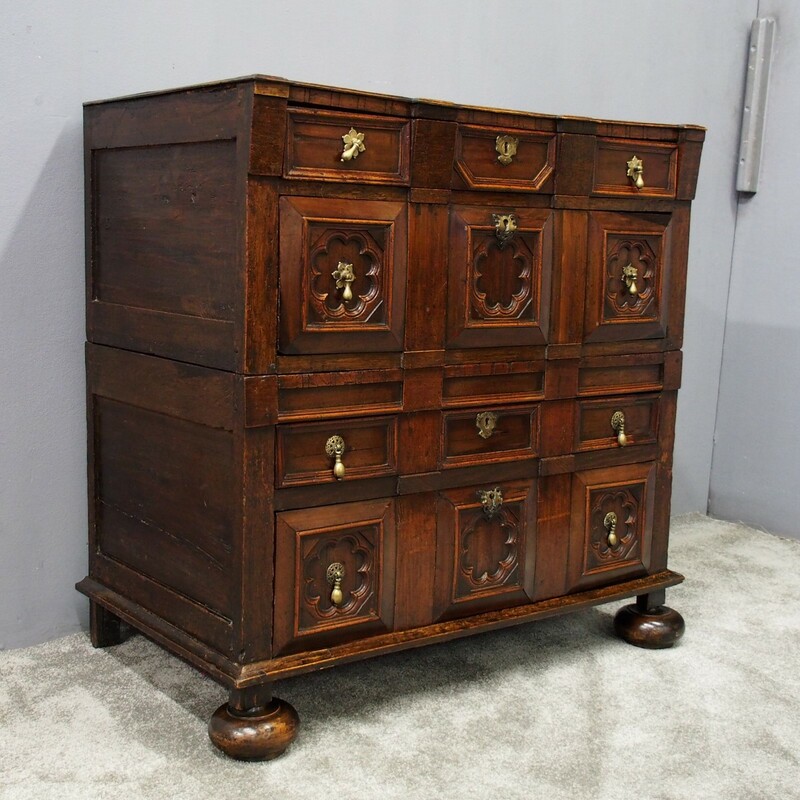 Circa 1660, Jacobean two-part 17th century oak chest of drawers. The rectangular top with moulded edge over an unusual combination of alternating shallow and deep drawers; the shallow drawers with treble geometric panelled fronts, the deeper drawers with gothic design panels. Panelled sides and all supported on bun feet.